Your child may be progressing through potty training with ease and confidence, then all of a sudden starts having accidents again. There are many reasons why this may happen. Many times a significant event such as the birth of a new sibling, a divorce or separation or a change in classrooms or teachers at daycare can set your child back a few steps. Another thing that occurs frequently, though is sometimes overlooked with potty training toddlers, is a natural regression that comes from having mastered a skill. You may have noticed when your child was a baby, she would move with fierce determination to learn to roll over, crawl or stand unassisted. Many children, after gaining this control, move on with the same determination toward other skills, leaving the old skill behind. This same process can occur with potty training. Once your child learns to use the potty with regular success, it's time to move on to other skills. So, if you find your child having accidents when he's also in the course of learning how to put together a complicated puzzle or turn sharp corners on the tricycle, don't be surprised. 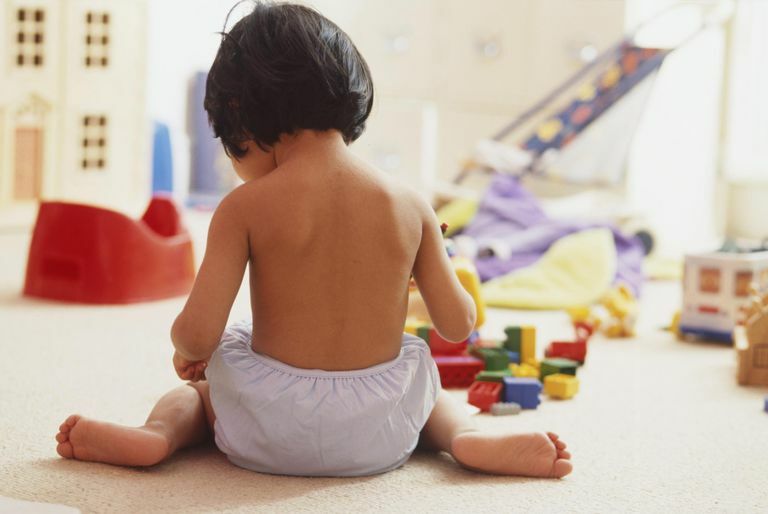 Many parents report that it seems like their child is suddenly "too busy playing" and forgets to use the potty. This is precisely what happens. They are too busy figuring out another important part of their world. You can help your child by reminding them frequently to use the potty. And don't take "no" for an answer if you feel it's been too long between bathroom breaks. "No" may not mean "no, I don't need to use the restroom" but instead could mean "no, I don't want this activity to be interrupted right now." Show your child that you understand the importance of the activity they are involved in by using phrases such as, "I know you're very busy right now," and "I can see you almost have that worked out," and "You're working very hard on that (picture/building/puzzle)." Then, state the importance of staying dry and using the potty and gently guide your child to the bathroom. Be aware also, that children may have a fear of leaving their activity. This is especially true for children with siblings or who are in a playgroup or other group setting. They may not want to leave a toy or activity for fear that it will be gone, destroyed or taken by another child when they return from the potty. Let your child know, in these situations, that you will save or watch over the toy (and be sure to follow through on this promise!) until they return and encourage your child to ask you to do this each time he needs to go potty.